From Mother’s Day to New Year’s Day, celebrating a special holiday with a family member in Assisted Living can be challenging. Many of us have family traditions that include gathering together under one roof for a meal and good times. So when it comes to making the day special and including family members in assisted living communities, it just takes a little more creativity and planning to make the day special. 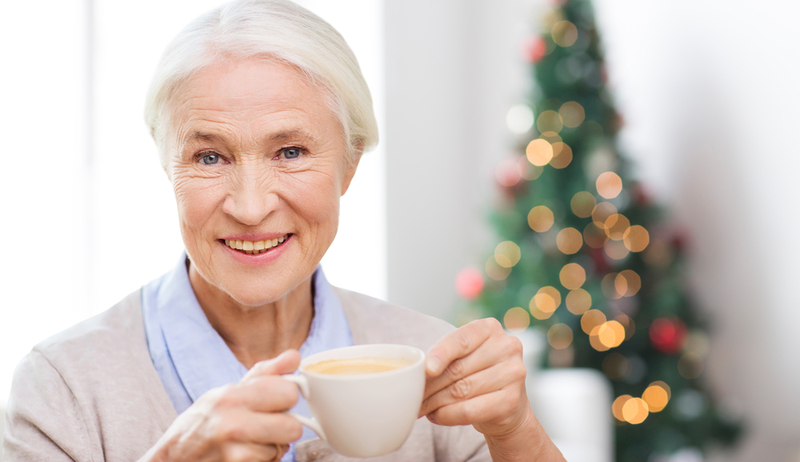 Whether you decide to take your beloved senior home for a holiday or have them stay put and visit them at the facility, there are some important things to consider when celebrating a holiday with family residing in Assisted Living. Although it can be common for residents to go off property and spend time visiting their family for the day or a few days, many residents actually prefer to stay in their communities instead of going to a relative’s home. For those living in memory care, this is especially true. This may be hard to believe considering many family members struggled to get their senior to cooperate in the move to an Assisted Living facility, but humans are creators of habit – especially the elderly. Just because it is a holiday, doesn’t mean they want to break their routine. For that reason, you might consider going to the Assisted Living facility for Mother’s Day this year. Or, Independence Day or to celebrate a birthday, or even Christmas. When you first established where your beloved senior would live, you probably chose the Assisted Living facility based on a central location for the whole family. This centralized location makes for an even better reason to have the whole family meet up for a holiday celebration there. Whether the resident has a difficult time walking, has Alzheimer’s, or requires special medications at specific times of the day, keep their safety in mind. It might not make sense for the resident to leave the Assisted Living facility for a celebration, or even at all. Care needs for seniors such as incontinence or bathing and dressing might just be too difficult to accommodate meeting lots of family and friends. If the Assisted Living resident’s safety is a concern, you might want to keep things as low key as possible. From fireworks celebrations on Independence Day to Trick-or-Treaters on Halloween, there are many community holiday activities for the seniors living in an Assisted Living facility to enjoy. The community activities event coordinator at most facilities is there to ensure that there is plenty of holiday entertainment from sing-a-longs to games and even crafts and baking. Family members should encourage their seniors to go to these special events and even attend a few of the events with them. In some cases, depression sets in during certain times of the year. Often it’s the holiday season at the end of the year, but birthdays, Mother’s Day and other memorable days during the year can spark depression and sadness. Keep these triggers in mind and be sure to take extra precautions to keep your senior busy and occupied. During the holidays – summer or winter – residents in Assisted Living facilities can be forgotten about because they are not in immediate sight. It may take longer to get to the facility, it may feel like a chore to take the time to visit, or whatever the reason may be that visits aren’t regular, it’s important to nip them in the bud, especially during the holidays. Grandchildren should be encouraged to make family visits with the grandparents residing in Assisted Living a priority. In many cases, Assisted Living facilities can accommodate many family members who want to come for a meal or activity with their senior. As an Assisted Living Facility, Home Care Agency or Nursing Home, there’s no doubt you truly value your residents and the traditions they hold during the holidays. From keeping them active and entertained on special holidays to protecting them from falls and illnesses, if you’re ready to reach your prospective patients and their families, there’s no better way then with SSMPAS.com. Best of all, everyone from patients and families to you and your business will benefit. Plus, Assisted Living Facilities and Homecare Agencies that advertise with us get their own webpage. Even before you sign up you can see that we are significantly worth it because you get so much more with us. Get started with SSMPAS.com today!